This well proportioned, elegantly engraved silver-gilt canister is closed at both ends and most probably contains Koranic verses or some other keepsake. 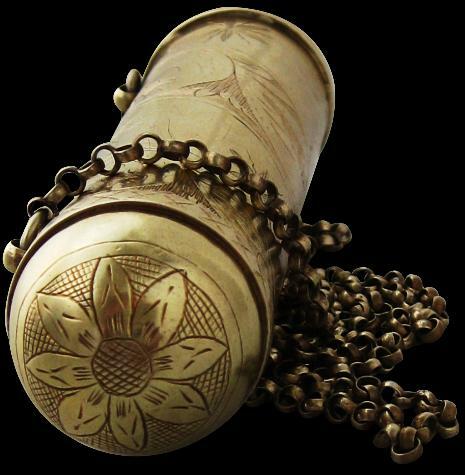 It is engraved with bands of fern-like foliage and snow-flake or star-like motifs. 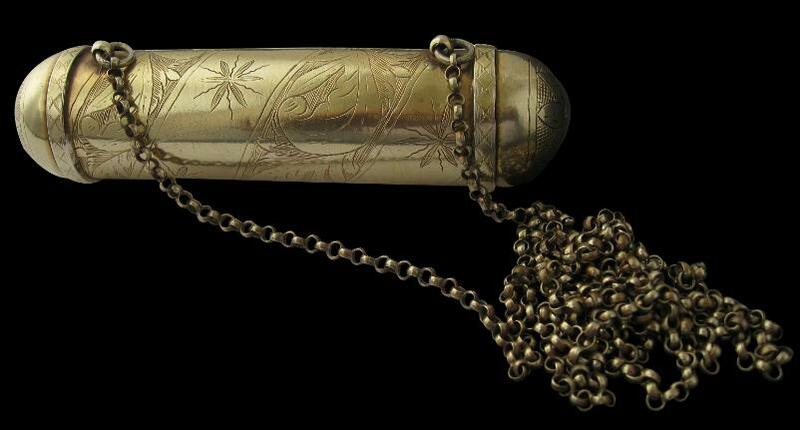 Both ends are finely engraved with flowers.. The engraving is similar to the work seen on Ottoman silver snuff boxes and related items. The container is suspended from a heavy silver-gilt chain. Overall, this item is heavy in the hand and very well made.